The City of Austin's Plus 1 Fund provides emergency utility bill financial assistance to customers experiencing extreme hardships such as medical illness or sudden job loss. In 2009 the City of Austin doubled to $300,000 the amount of funding made available annually for this program.  Beginning in fiscal year 2009, City of Austin employees were given the option to donate to the Plus 1 Fund through the City's annual Combined Charities Campaign, which raises money for local and regional charitable groups. Additionally, utility customers have the option to donate to the Plus 1 Fund when they make their monthly utility bill payments. Plus 1 funding is distributed to customers by more than a dozen social service agencies including Travis County Family Services and Meals on Wheels. Tags "utility bill" "utility bill donation" "plus 1"
Austin Energy Green Building ratings evaluate the sustainability of participating single family, multifamily and commercial buildings on a scale of one to five stars in the areas of energy efficiency, water efficiency, materials, site, indoor environmental quality, community impact and innovation. View the program performance savings metrics achieved since Fiscal Year 2007. Learn more at http://greenbuilding.austinenergy.com. Austin Energy Green Building (AEGB) ratings apply to new construction and major renovation in three markets: Commercial, Multifamily and Single Family. An AEGB rating evaluates the sustainability of participating buildings on a scale of one to five stars (five stars being the best rating) in the areas of energy efficiency, water efficiency, materials, site, indoor environmental quality, community impact and innovation. AEGB updates rating requirements periodically to stay ahead of advancing building codes and to spur best practices in the building industry. The table contains unaudited data that represents Green Building ratings contribution to the goals of the Austin Climate Protection Plan to reach 900 MW of peak demand savings by 2025. Beginning in 2014, Green Building commercial and multifamily ratings MW and MWh savings include a portion of the savings attributed to Customer Energy Solution rebates for AEGB rated projects. Blank data cells indicate information not applicable or not tracked.